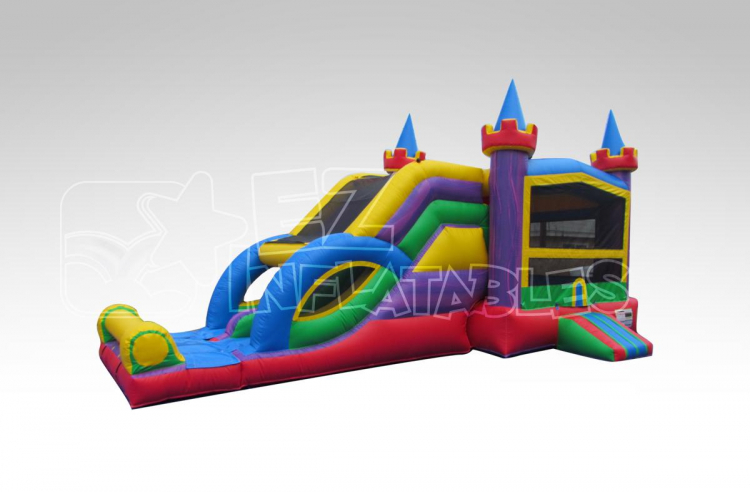 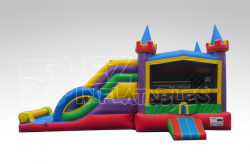 With a Vibrant Color Scheme, this unique wet or dry combo features a 15x15 bouncing area with a dual lane slide! 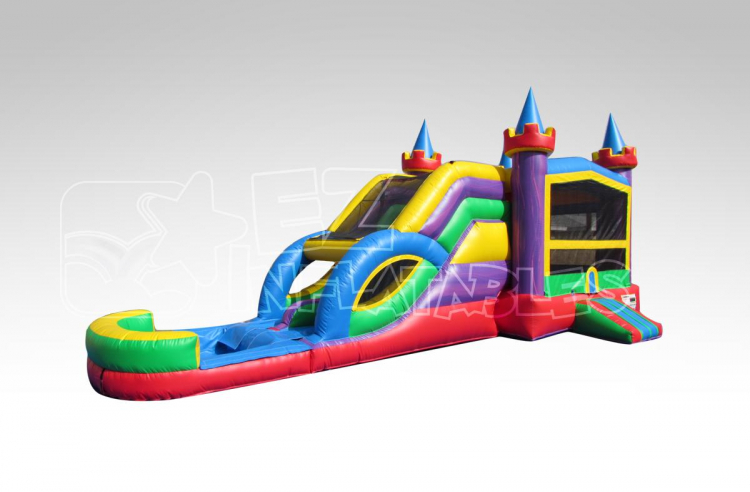 The Dual Lane Multi Colored Combo can be used dry for hours of fun during the spring/fall seasons, or during the summer turn this bouncer into dual slide into a water slide with the Sprinkler System and Pool Attachment! 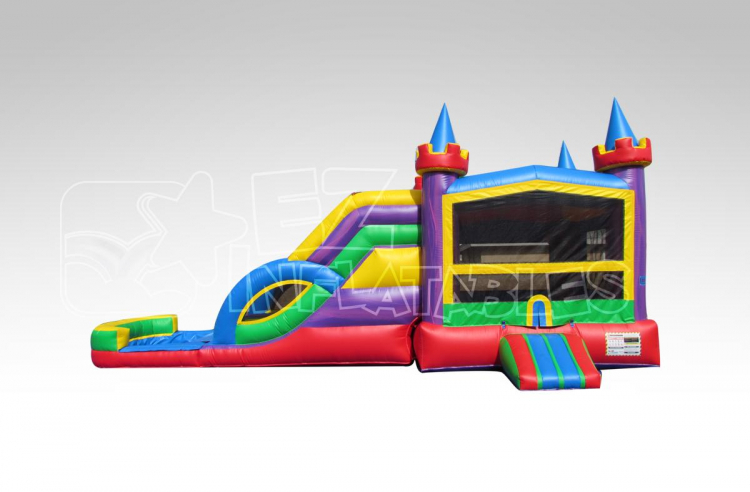 The Multi Colored is a great bang for your buck with a bounce house and water slide all in one!